Yesterday I introduced author and illustrator Allen Say. 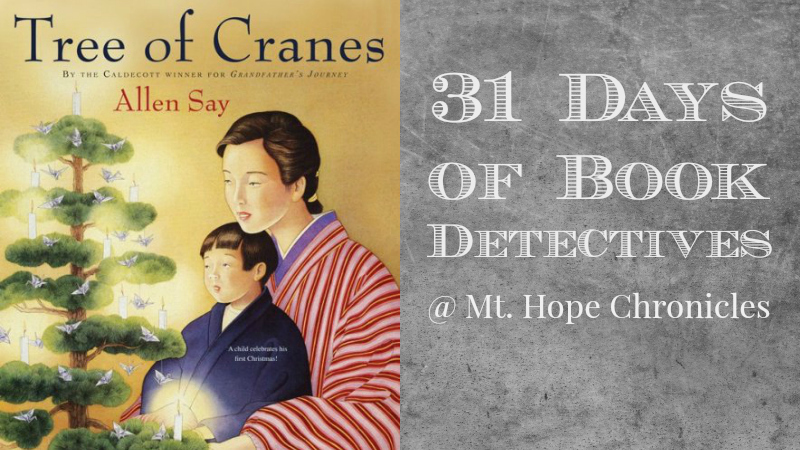 Today we’ll explore his picture book Tree of Cranes as we segue into a few Christmas-themed picture books before ending this 31 Days series with a few simple chapter books. This story is told in the 1st person, and we assume that the author is telling a story from his childhood. The scenery of a traditional Japanese home may fascinate children. Origami cranes are an obvious craft to pair with this story, and children may be interested to know the 1000 Cranes Legend. 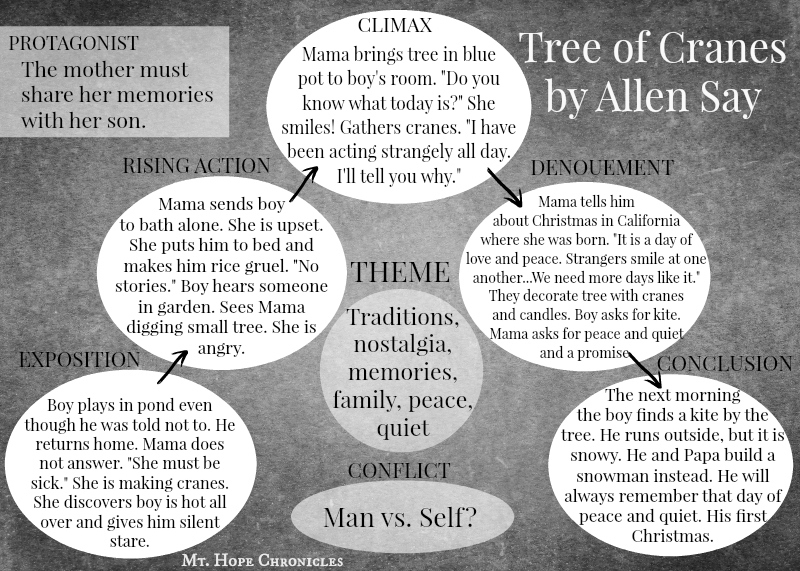 Is the protagonist the son or is it the mother? I think the mother needs to share her memories with her son. Are traditions and memories important? Are they important to share with our children? Is Christmas about more than trees and lights and gifts and love and peace?